A vigil took place last night for AMilcar Pérez-López, who was shot by police last Thursday. Neighbors spoke against the excessive use of force by police. 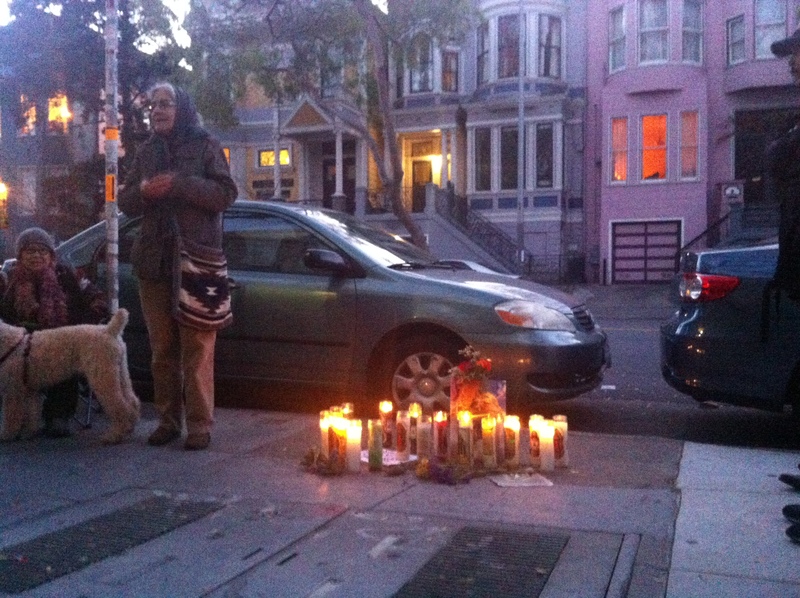 More than 30 neighbors, activists and friends of Amilcar Perez-López gathered Sunday evening to mourn the loss of the 21-year old Guatemalan man killed by San Francisco police officers on Thursday night and offered a sharply different version of the incident. At the vigil, Román and his family remembered López and described his character. Despite the language barrier, people took turns to stress the importance of collectively demanding justice for López’s death. “He lived with me, we worked together. He was a good guy. I am here to help him because he doesn’t have family here. I want justice for him, and let’s see what we can do for him,” said López roommate. “I didn’t know him, but we have long struggle ahead. We have to demand justice, remember him and help his family to serve him justice,” said Florencia Rojo, a neighbor present at the vigil. “We have to talk, get to know each other and continue to unite,” said Evelyn Gutierrez, a mother of two present at the vigil. The police will hold a community meeting tonight at 6 p.m., at Cesar Chavez Elementary. Members of the community, however, will gather at 5 p.m., as some mentioned they would discuss a plan of action. Still not one word from Campos about this officer-involved-shooting that was fatal. The killing of anyone by the SFPD should be interest to the Supervisor, and now learning that the dead man was from Guatemala, just like David Campos, well, it’s one more reason why he should say _something_ about the fatal shooting. For proof that Campos has not used social media to speak up, check out this, https://www.facebook.com/davidcampossf , and this, https://twitter.com/DavidCamposSF .